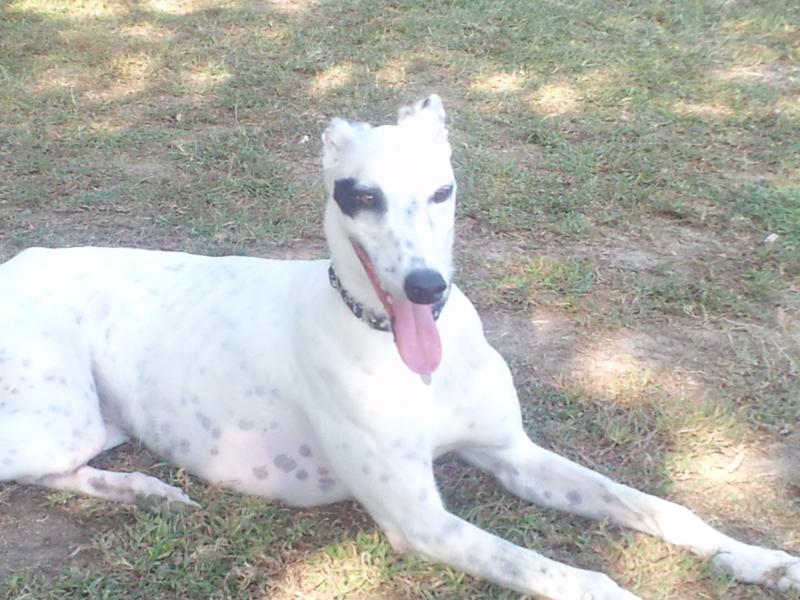 In the first months, you are adjusting to a new greyhound(s), but your greyhound is adjusting to a whole new world; life is totally different in a home compared to a racetrack. Most of their life is spent in a crate, so you will probably have to start them out in your home in a crate; it’s where they feel safe. The other thing is they aren’t used to many things you wouldn’t even think about… doors, windows, carpet, stairs, TV’s are all unknown to them. When we first got Vladimir & Vitali (at 22 months), they did not know how to go up a flight of stairs and we had to put a big X on our glass patio door with duct tape so they would realize there was something there and they could not run through it, as they had no idea of glass, they were also completely mesmerized by their reflections in our full length mirror. They have since settled in and are perfect additions to our family. 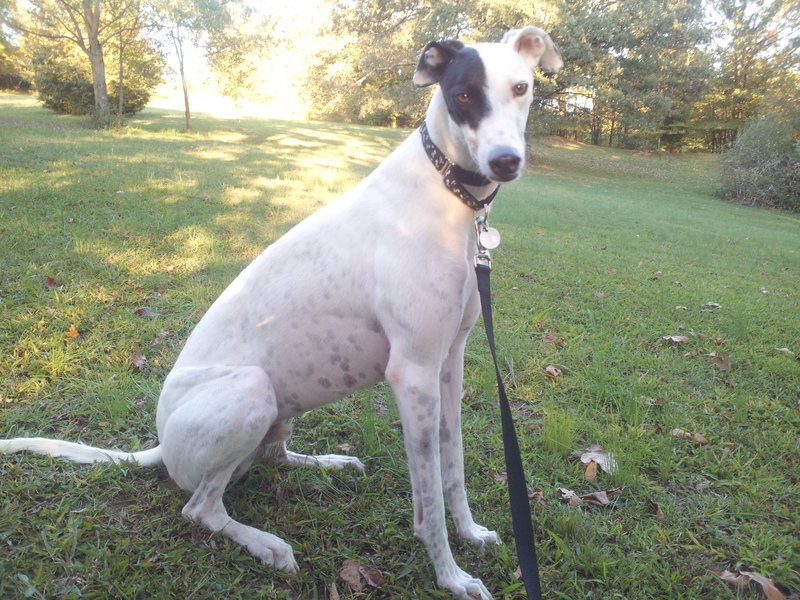 Greyhounds absolutely can’t be let off of a leash in an open space unless that space is within a fenced area. These dogs, for centuries, have been bred for speed, and their eyesight is incredibly acute, being able to see a small object up to a half mile away. They have also been trained to “chase” the small animal, which to the greyhound could be a blowing trash bag down the street, squirrels, cats, etc. Over time, greyhounds lose some of that desire, however, just like anything that has been reinforced since birth it could come back, next thing you know, your greyhound is running down the street at 45 miles per hour and runs into traffic. Most greyhounds tend not to look directly at you, this being to dogs as a challenge for dominance. They tend not to want to cuddle up with you for hours at a time, taking instead a few minutes of petting and then wanting to go their own way, they very rarely ever lick you, although some do, but usually not with the enthusiasm of other types of dogs and some can tend to be shy around new people and surroundings. This does not apply to our “boys” as they love new people! They will both walk up to any stranger for a pet. Greyhounds are also very clean dogs. They shed, but not as much as most other dogs and they don’t have oily skin so they don’t have that typical doggy smell. Greyhounds are quiet dogs for the most part, but ours will bark if they want someone to play with them or need to go outside. Greyhounds are really very low maintenance dogs. They sleep most of the day, they don’t eat as much as most large dog breeds, their potty breaks are fairly routine, and they only need a couple of walks a day, with a trip to the dog park or other safe fenced area once or twice a week for some all out running. They also don’t have very many medical ailments that affect so many other pure bred large dogs, like hip dysplasia. In a world where so many dogs go without homes, it is inconceivable to me of people purchasing dogs for a pet. Greyhounds are fantastic dogs, and make terrific pets. Myths about them being bad around children and other pets are simply not true for the vast majority of greyhounds, and most adoption agencies will screen for this behavior. Our “boys” have no issues at all with our parrot or our three inside cats or two outside cats. You can see what I mean by looking through the collection of pictures on this site. Please read up on this greyt breed, I have provided some links above for you to learn more about greyhounds and if you find this site educational or useful or just plain fun, please tell your friends about us! PS: The term “greyt” above is used by greyhound devotees when talking about or describing greyhounds…it is a combination of the grey in greyhound with the word great!